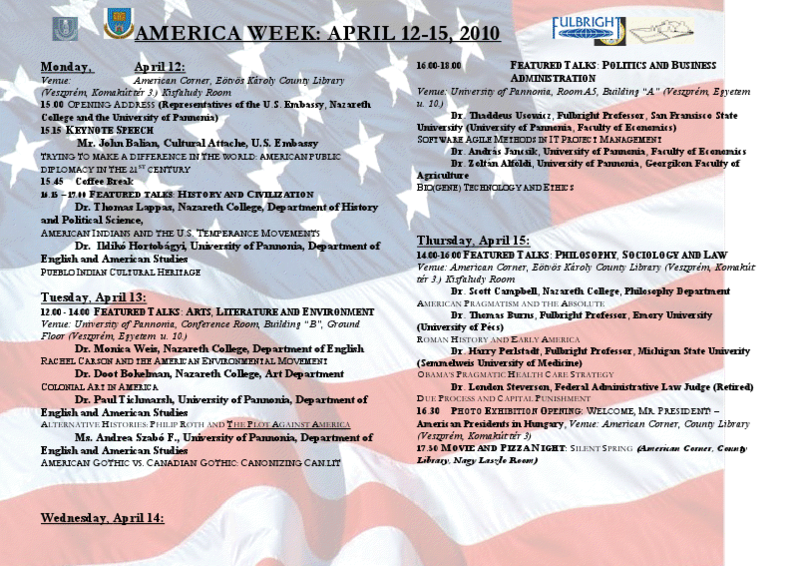 The Father of The America Week Program is Dr. Scott M. Campbell, Professor and Chair in Philosophy, Director of the American Studies Program in Arts &amp; Sciences, at Nazareth College, Rochester, New York. 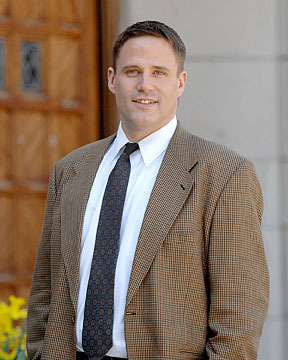 Dr. Campbell’s teaching and research interests focus on the philosophy of life. 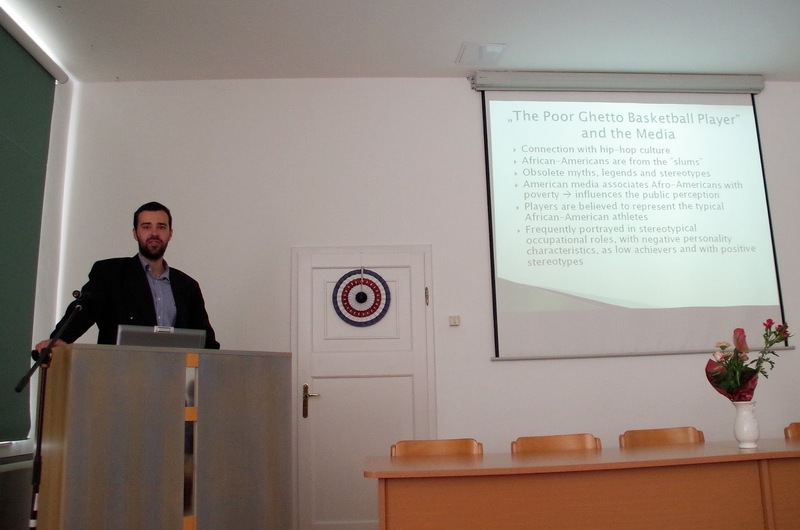 He was a Fullbright Scholar at Pannon University in Veszprem, Hungary. 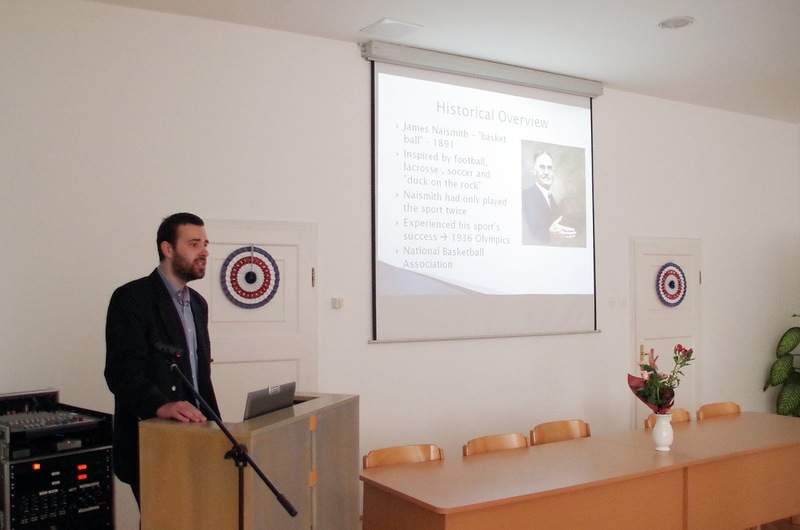 The creation of America Week at Pannon University, an annual international conference on American Studies that continues to draw Nazareth faculty and students to Veszprem, Hungary to present papers. 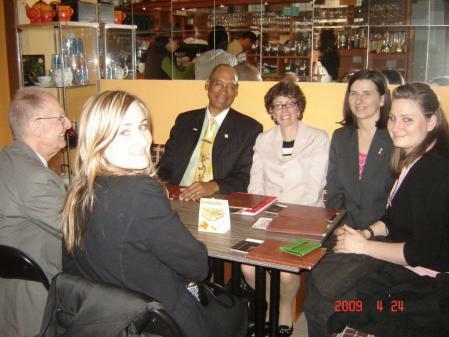 The first America Week Celebration was in 2007. 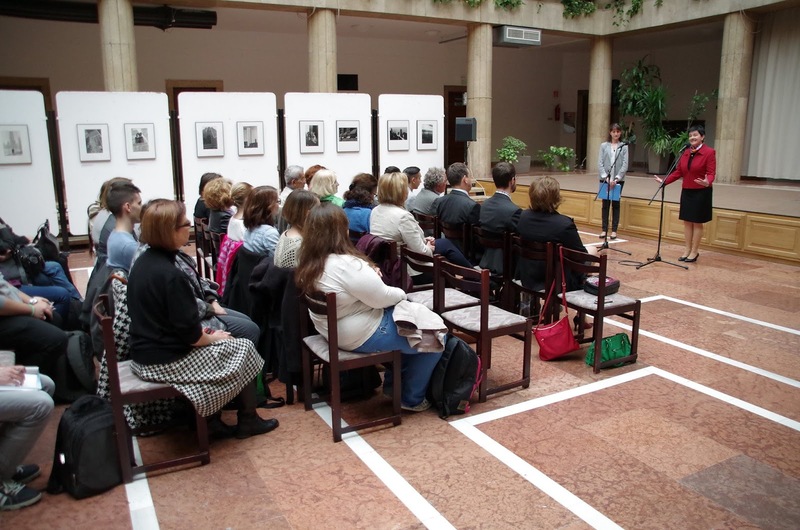 This year marked the 9th America Week in Veszprém, Hungary. 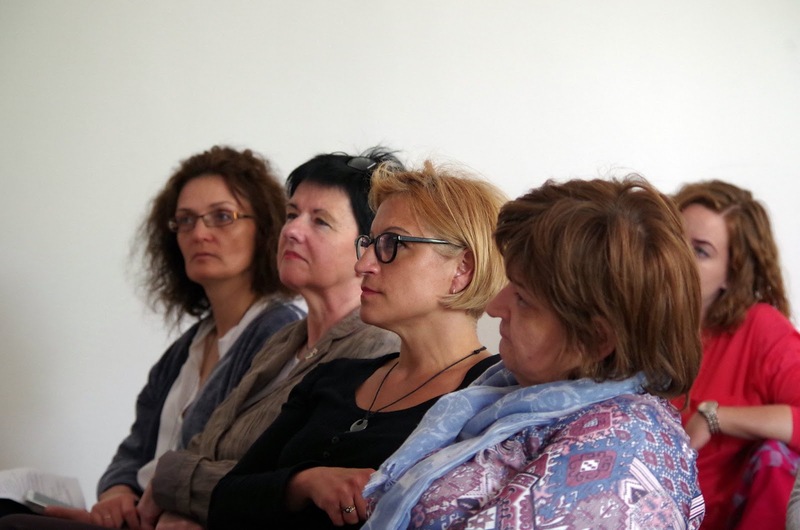 Attracting Hungarian faculty and students to Nazareth. 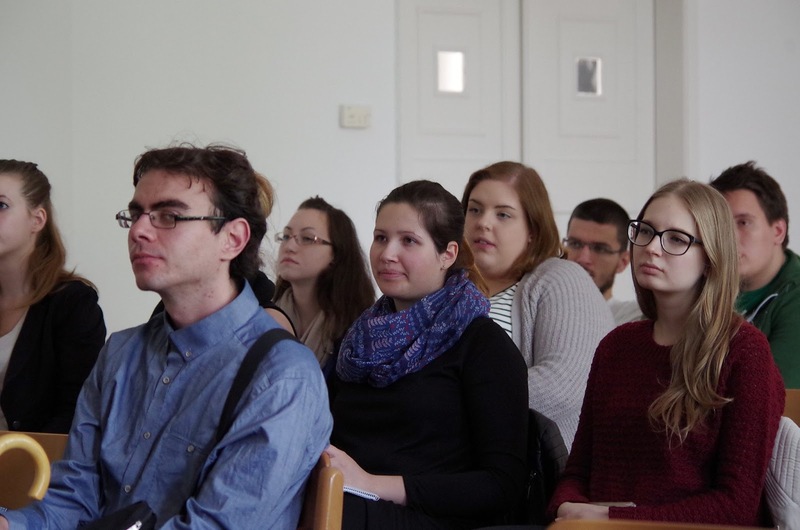 In 2013, Nazareth hosted 20 Hungarian students and three Hungarian faculty. 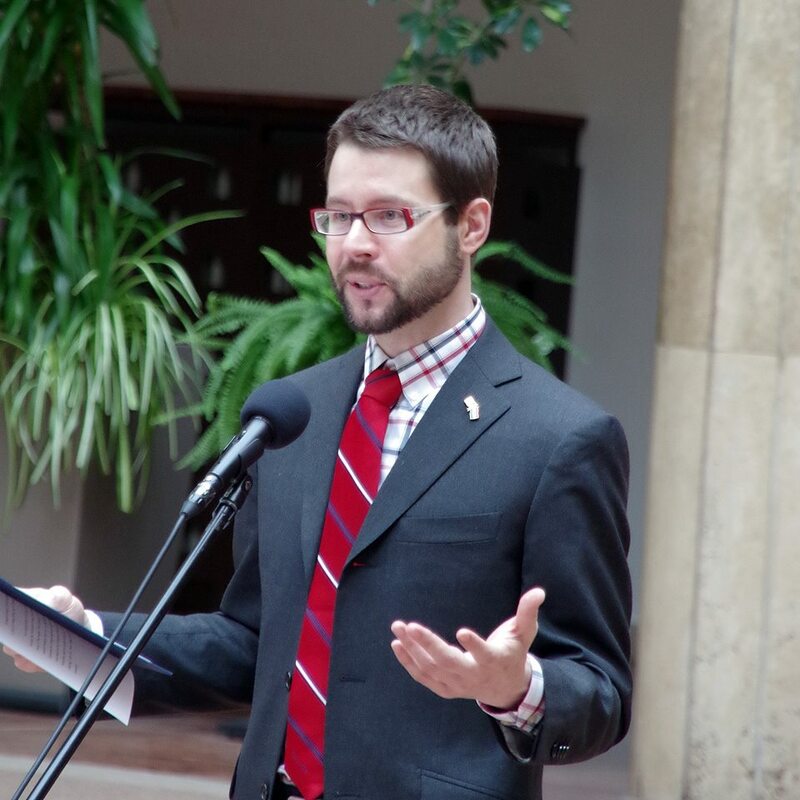 The head of the Institute for English and American Studies in Veszprém, Dr. Szilárd Szentgyörgyi, received a Fulbright award to go to Nazareth for the August 2015- May 2016 academic year. 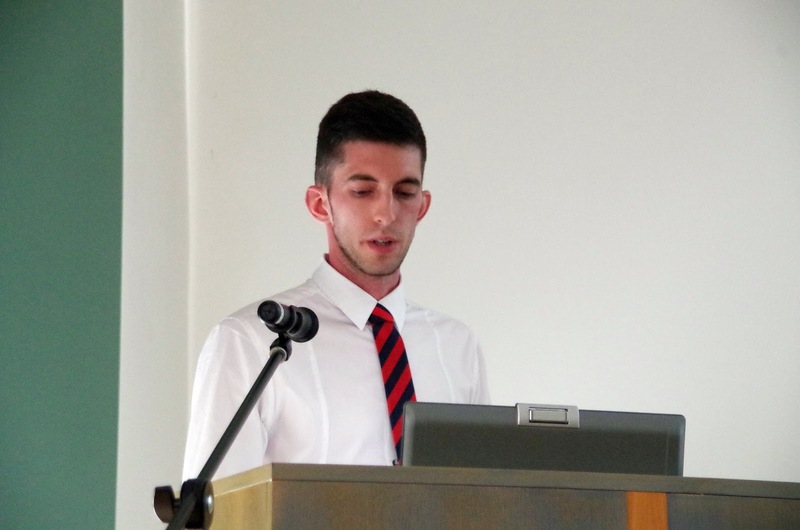 His Project Title is Developing American-Hungarian Relations via Teaching. The above symbol speaks volumes. It visually represents the goals of the American Corners and the desire of the U S State Department spread American Culture all over Hungary. 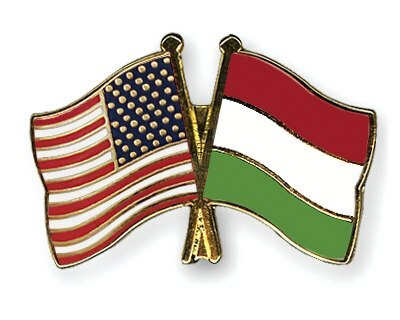 The main focus is to strengthen international relations between Hungary and the United States of America through its American Corners, America Week Celebration, and other programs. 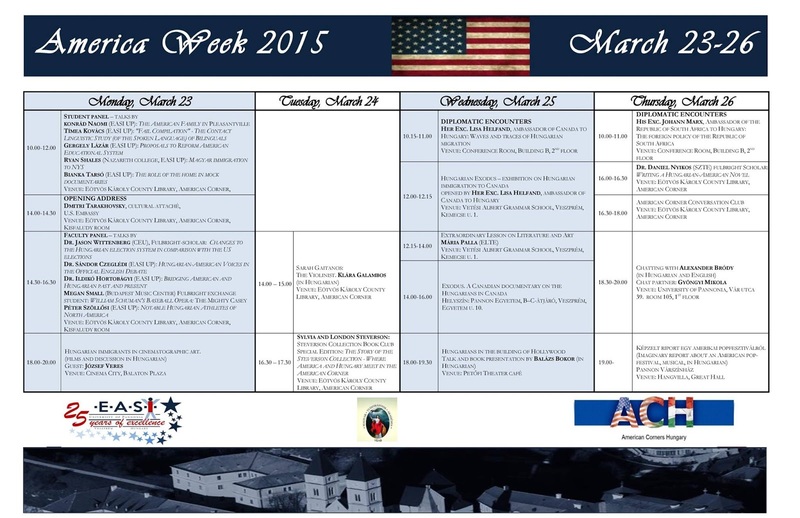 The America Week is helping to create “a foundation of trust” between the Hungarian people and the American people. 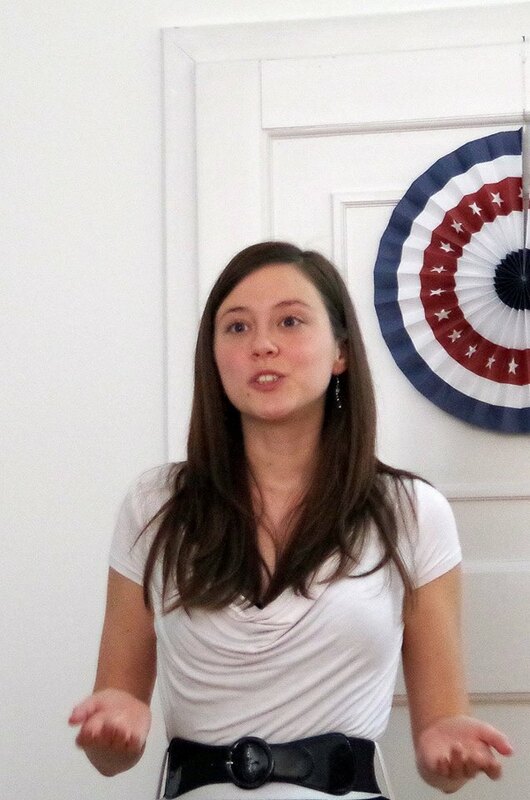 This foundation can be built upon to form social, political, and economic ties to the Hungarian people. We wish to combat the notions perpetrated by Hollywood movies and the pop culture hip-hop and rap artists that the average Americans are shallow, violent, and godless. 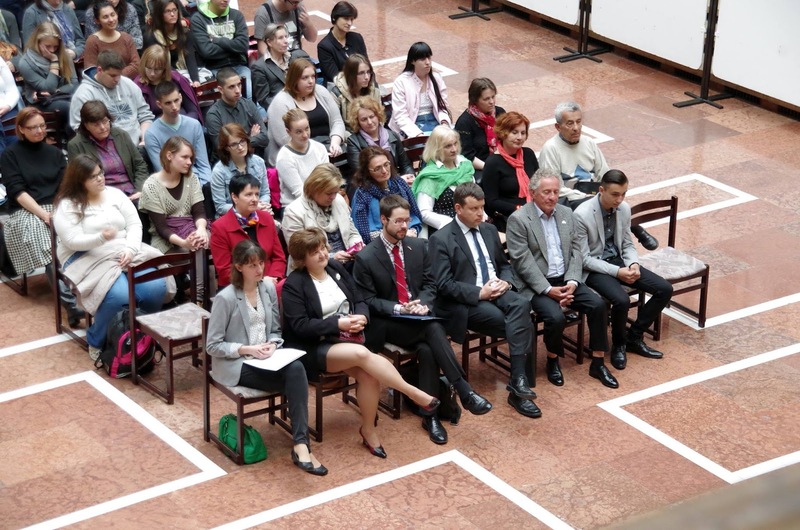 We wish to foster the notion that Americans have such values as loyalty, patriotism, family, faith, and the desire for education in common with the Hungarian people. 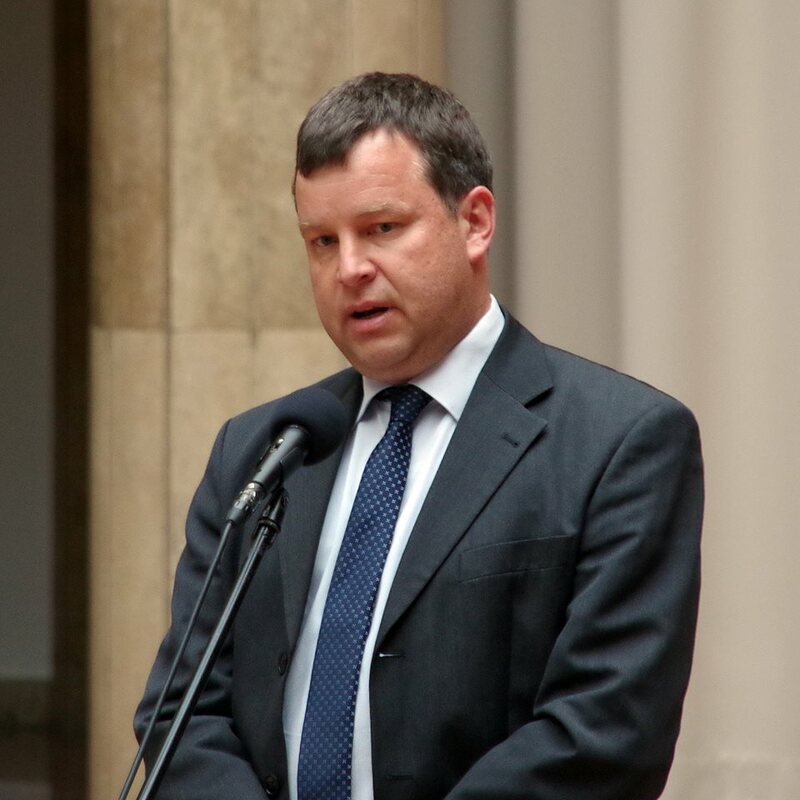 We wish to reach every level of Hungarian Society, and particularly the influential members of that society, who can not be reached through traditional diplomatic means , channels, and functions. We want to encourage the use of the English language to communicate in every day discourse, and promote the reading of English books for leisure and for scholarship. 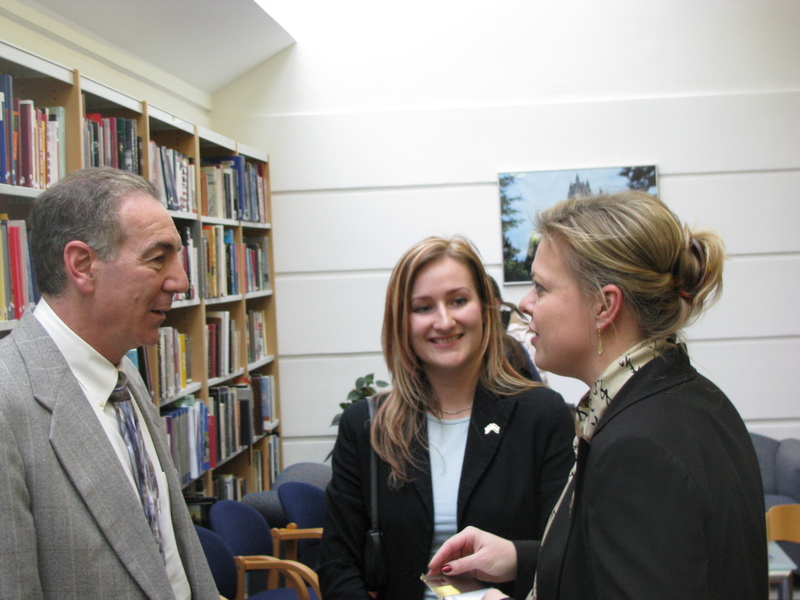 Through the weekly Conversation Clubs and Book Clubs this is regularly and routinely promoted. All of these efforts combine and coalesce during the America Week with a special emphasis so as to grow together into a single mass. An all-star cast cannot guarantee a blockbuster show. It helps, but the purpose and fundamental reason for the show must never be forgotten. It was a good week but not a great week. 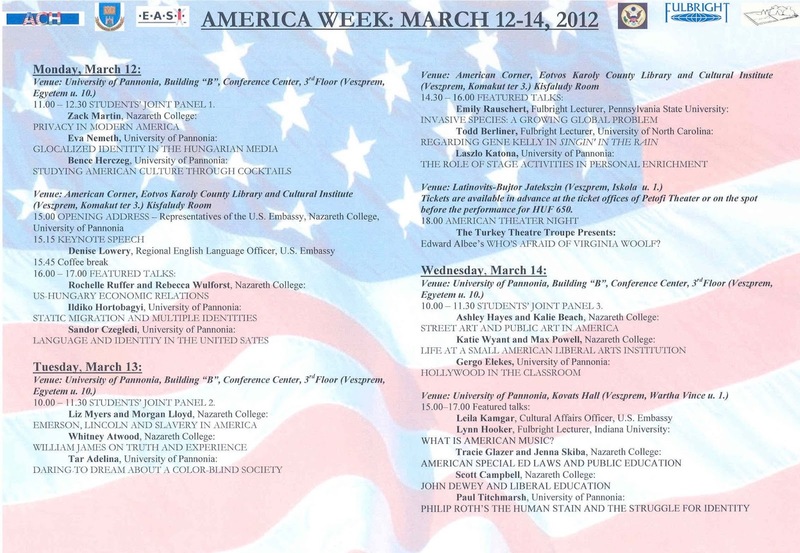 America week should be great and memorable. It should be great because of who was there; and, it should be memorable because of what was said. It should be a life changing experience, a rite of passage, something that people and students will talk about for years to come. It should be a high point of a student’s college education experience. 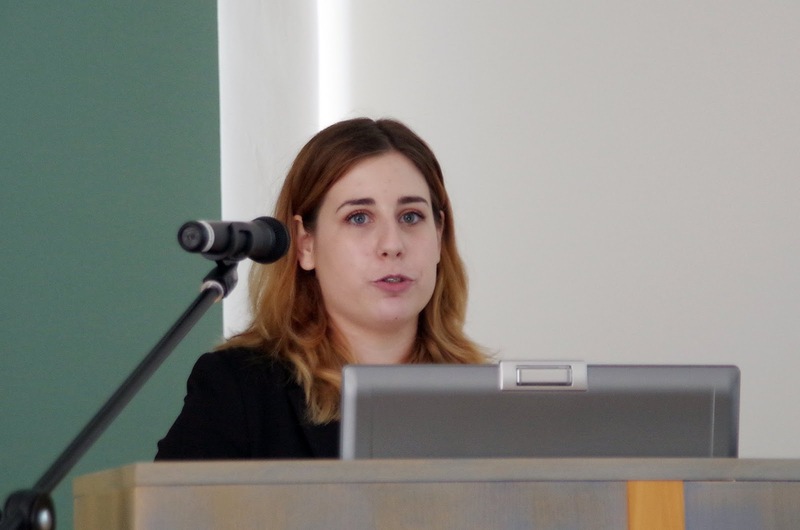 One student at Pannon University once told me that she had decided that she wanted to be a lawyer because of something that I had said at an America Week presentation. And, she was already finishing up her second year of collage. 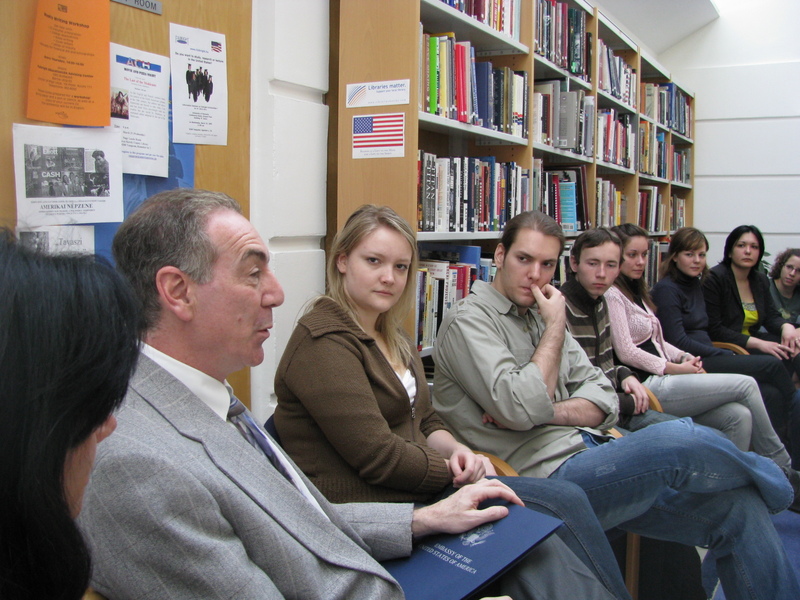 Not every student will have that great of an experience; they might not experience a rapture or an epiphany, but they should take away something greater than what they experience from their regular curriculum, something that they cannot experience in the normal nine to twelve months of classes and activities. Their America Week experience should be something they will remember a long time if not forever. It should be remembered like “Woodstock” or like the “Montraux Jazz Festival”. They should be able to calibrate their memories by what they did or heard at, for example, the 2010 America Week, or at the 2015 America Week. They should be inclined to talk of fun memories and reminisce, as in “where we you in your life during the 2012 America Week?”; or, what do you remember most about the year that Ambassador Colleen Bell spoke at the America Week Celebration about the need for a new generation of bold and beautiful women to step out onto the world stage. 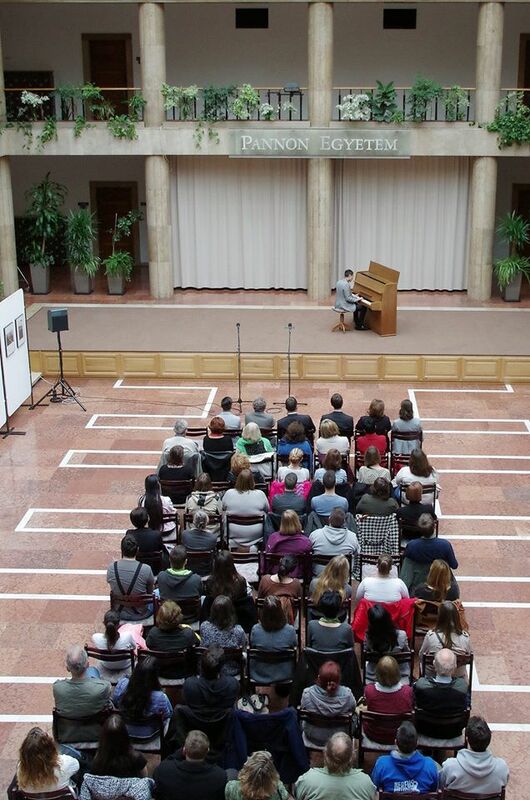 This was the 9th America Week Celebration in Veszprém, Hungary. 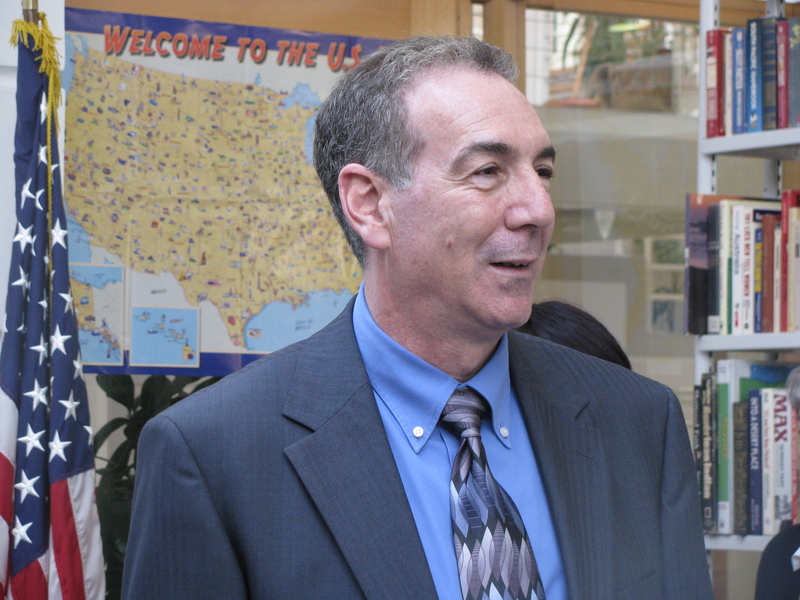 This year’s program was most notable by who was not at the celebration than by who was.The appearance of the American Ambassador or the Charge’ de Affaires highlights the importance given to America Week and the significance that the American State Department attributes to the program. Including accomplished and high level personnel in the program adds even more symbolic importance to the basic concept of this concentrated week of cultural exchange. Dr Scott Campbell, Dr Monica Weiss (pictured, below), and no other professors or teaching assistants from Nazareth College were there. 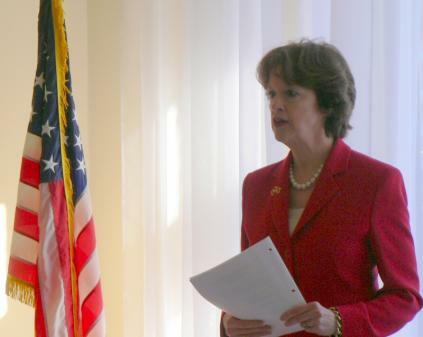 America Week should be more than just business as usual. The programs should not be more of the same. The classes, clubs and school visits that are standard fare and randomly occur on an ad hoc basis all year long should not be served up during this hyper-emphasized week as a feast. 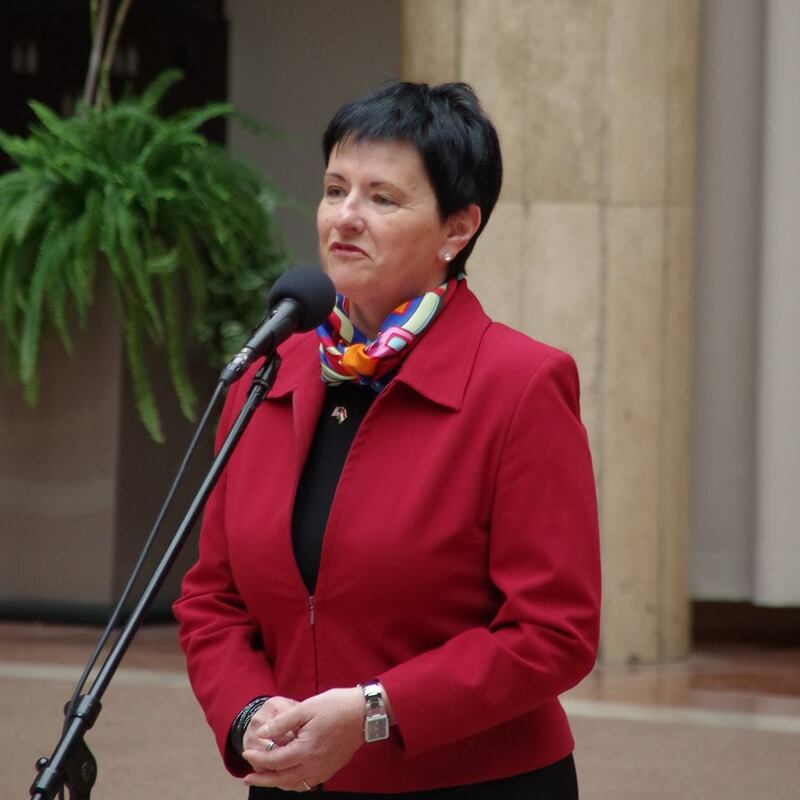 Ambassador Colleen Bell at US Embassy Budapest, Hungary was not present; neither was her Charge’ de Affaires. 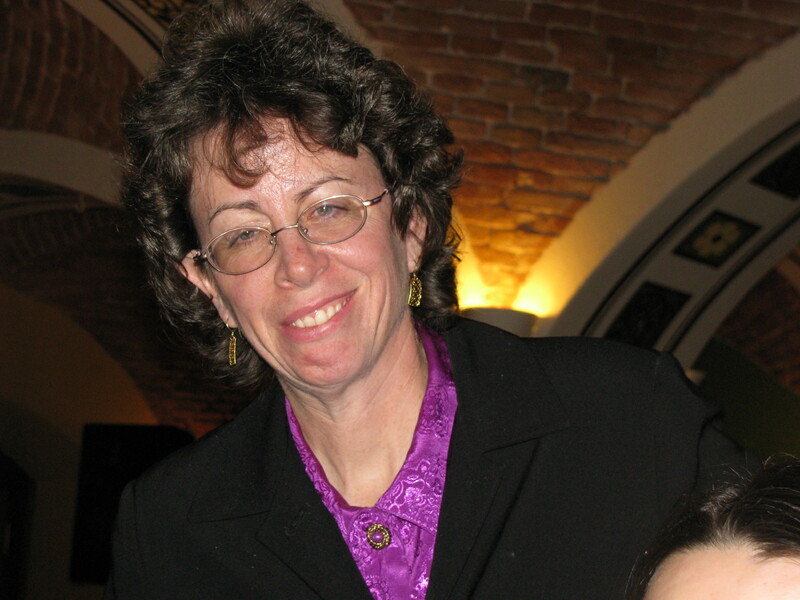 When Ambassador April Foley (above) was unavailable, she would send her Charge’ de Affaires, Mr. Jeffrey Levine (below). 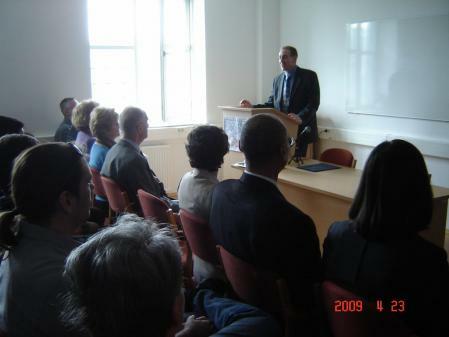 Mr Jeffrey Levine even gave special presentations and made himself available for several days. 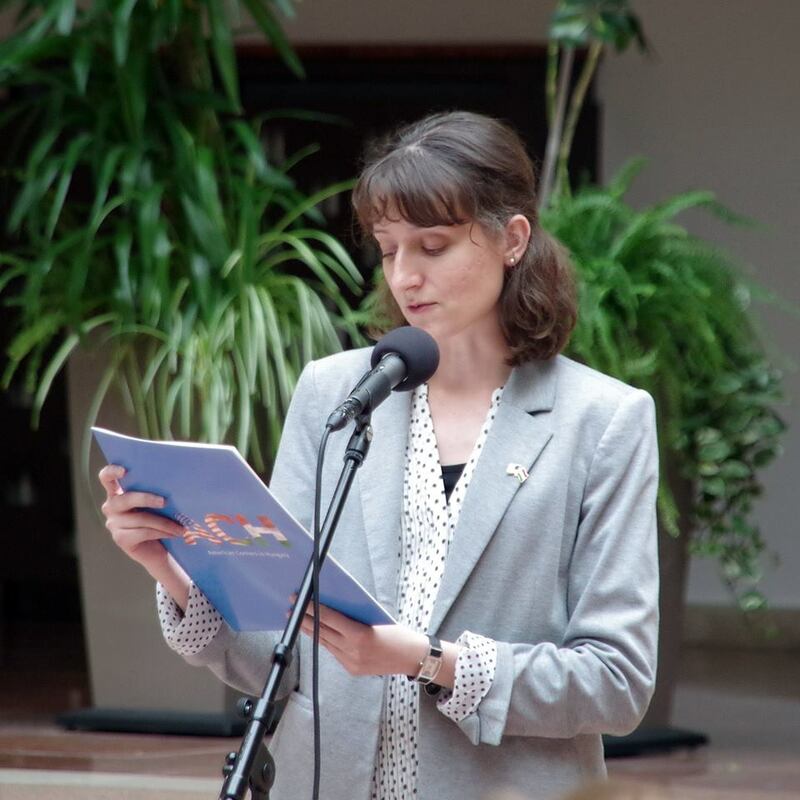 The Cultural Attache’, Carolynn Glassman, Cultural Attaché at US Embassy Budapest (below) attended all of the America Week Celebrations during her tenure as Cultural Attache’. When their duty schedules would permit, they would stay for several days and mingle with the students and other presenters. 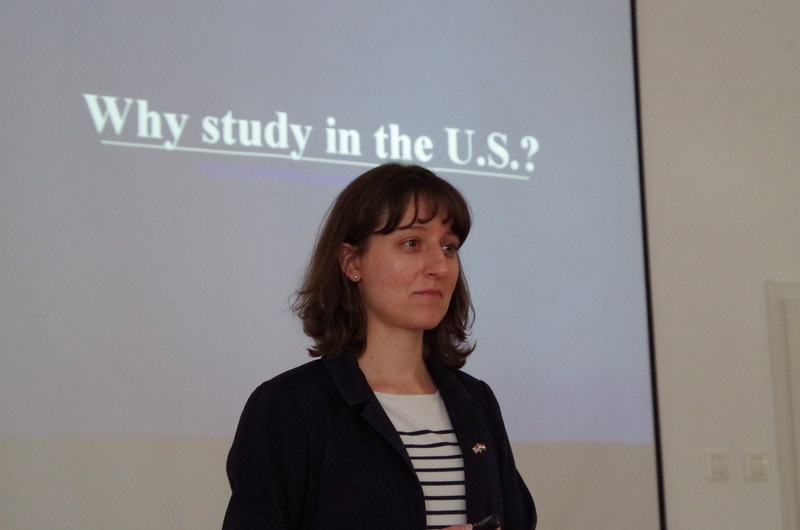 American Corner Veszprém and the English and American Studies Institute, University of Pannonia, held their annual America Week program series in Veszprém from May 2-6. 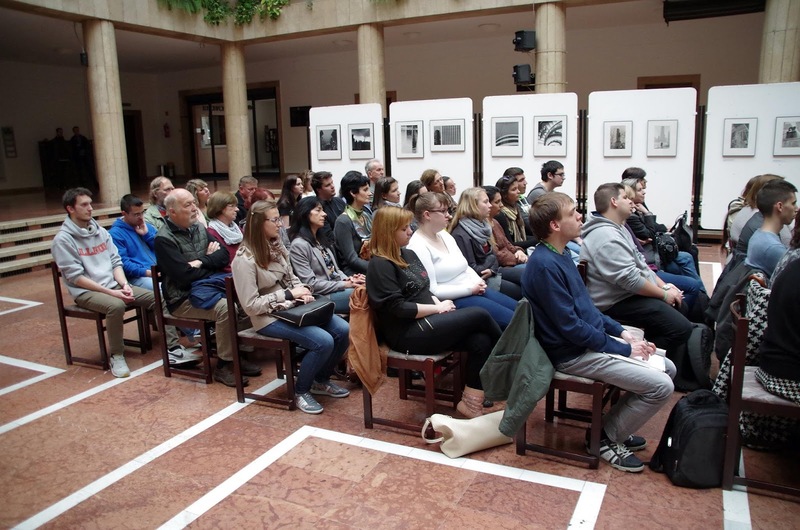 The programs included presentations on various U.S.-related topics by university faculty and students, a photo exhibition, concerts, a theater evening and more. Please see the links to the detailed programs for each day. 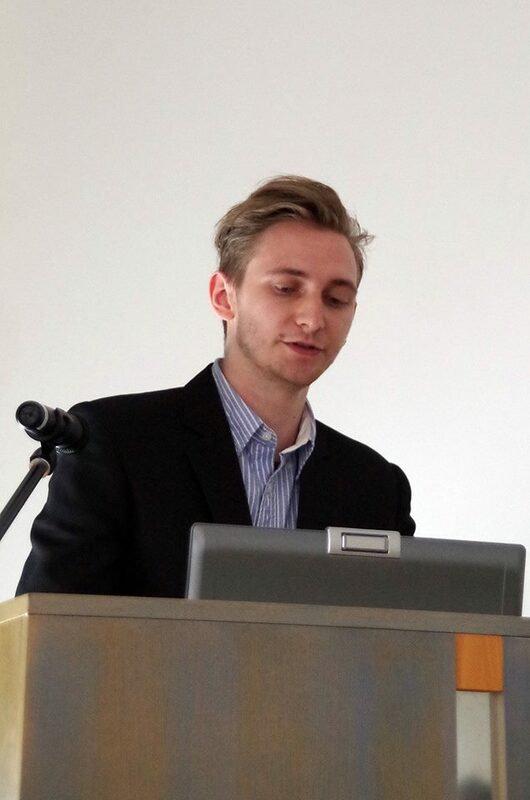 May 2, 2016 4:00 PM University of Pannonia Veszprém, H-8200 Veszprém, Egyetem u. 10. Art and life can take strange turns. 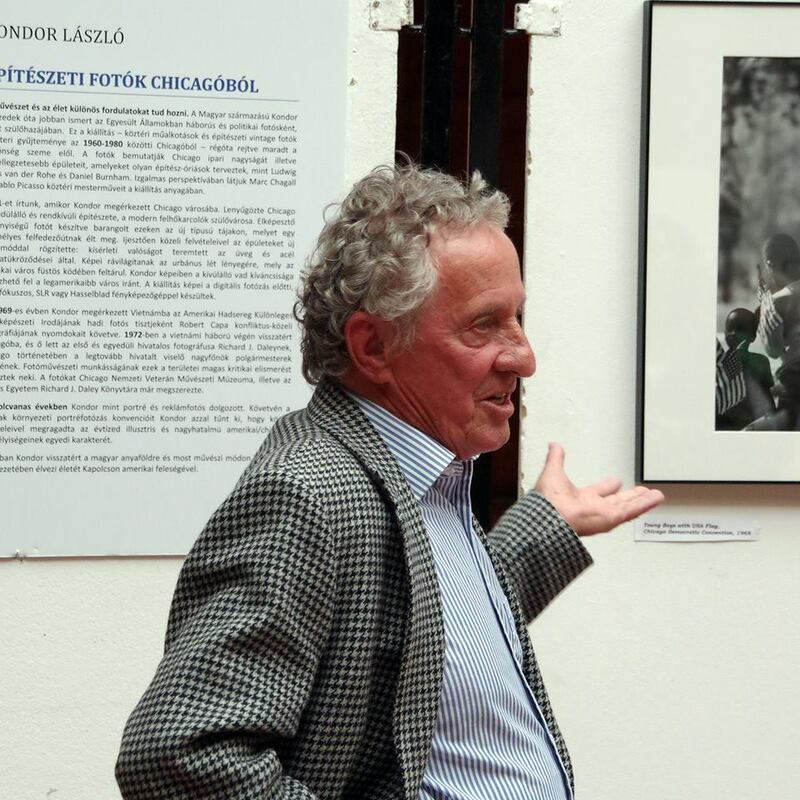 Hungarian born Kondor is better known for decades in the United States as a conflict and political photographer. This exhibition – a masterly body of vintage photographs from the 1960s-1980s of Chicago public art and architecture – has been long hidden from view. 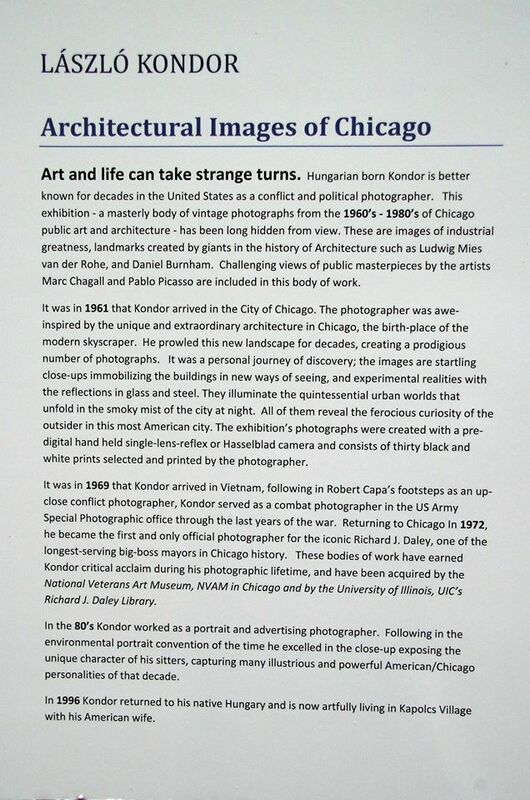 It was in 1961 that Kondor arrived in the City of Chicago. The photographer was awe-inspired by the unique and extraordinary architecture of Chicago, the birth-place of the modern skyscraper. He prowled this new landscape for decades, creating a prodigious number of photographs. It was a personal journey of discovery. The images illuminate the quintessential urban worlds. All of them reveal the ferocious curiosity of the outsider in this most American city. 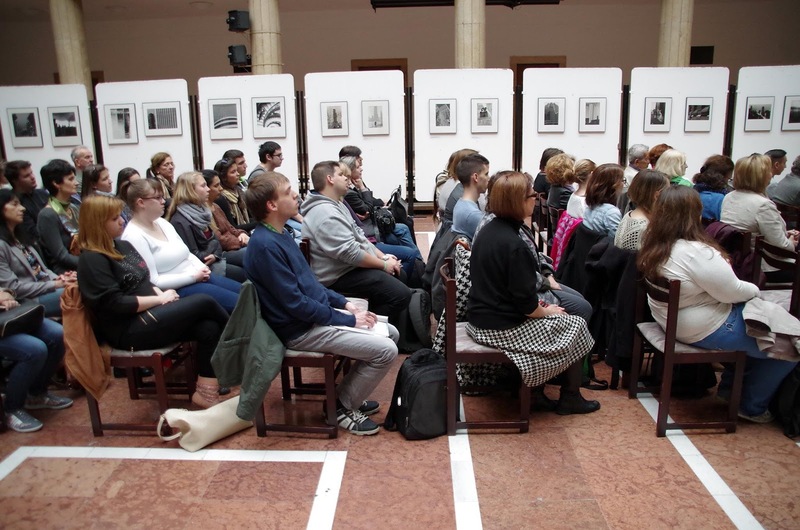 May 3, 2016 10:00 AM American Corner – Eötvös Károly County Library Veszprém, H-8200 Komakút tér 3. 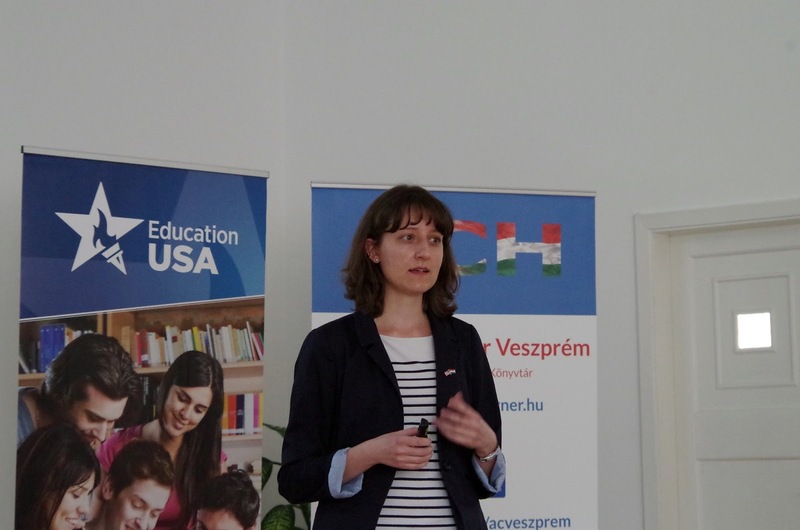 – Bianka KŐSZEGI: Working in a Summer Camp in the U.S.
ADVANCED REGISTER FOR THE AMERICAN EVENING IN ADVANCE AT VESZPREM@AMERICANCORNER.HU OR IN THE AMERICAN CORNER! 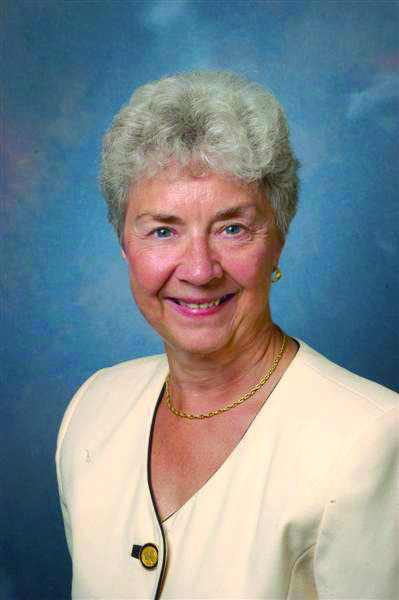 Dr. Andrea M. Noel of State University of New York (SUNY) at New Paltz, New Paltz has expertise in Pre-school Education, Language Education, Teacher Education. 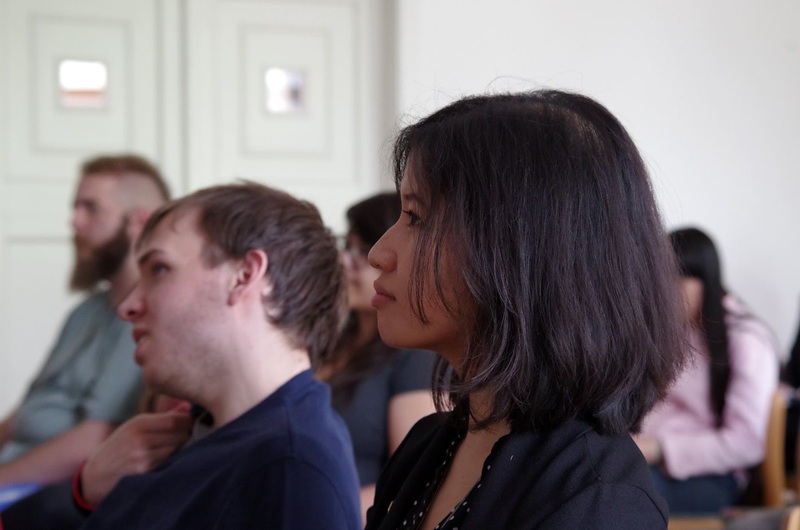 Ms Liaw is in Hungary for the 2015-16 school year on a Fullbright English teaching scholarship where she helps historically underserved students as they prepare for and enter college. “I never had the experience of living in a foreign country, and I wanted to put myself in a situation where I’m totally out of my comfort zone and every little thing is going to be hard,” she said. 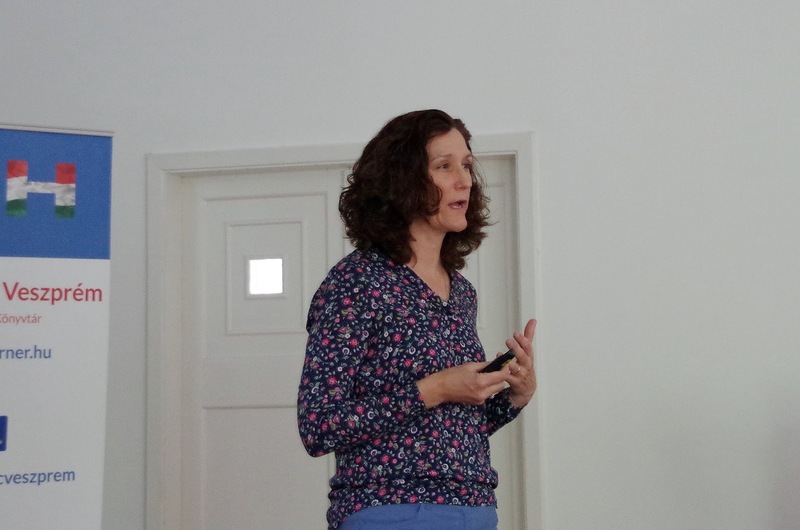 Ms Liaw has been working specifically with the Roma population, a minority group living in Europe and the Americas whose origins can be traced to the Indian subcontinent. May 4, 2016 10:00 AM American Corner – Eötvös Károly County Library Veszprém, H-8200 Komakút tér 3. 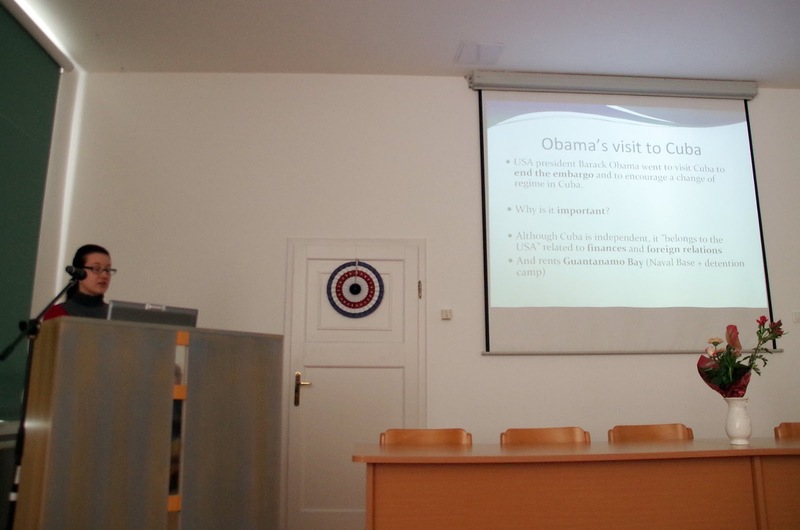 At the 9th America Week in Veszprém, there was a theater evening to highlight American culture. 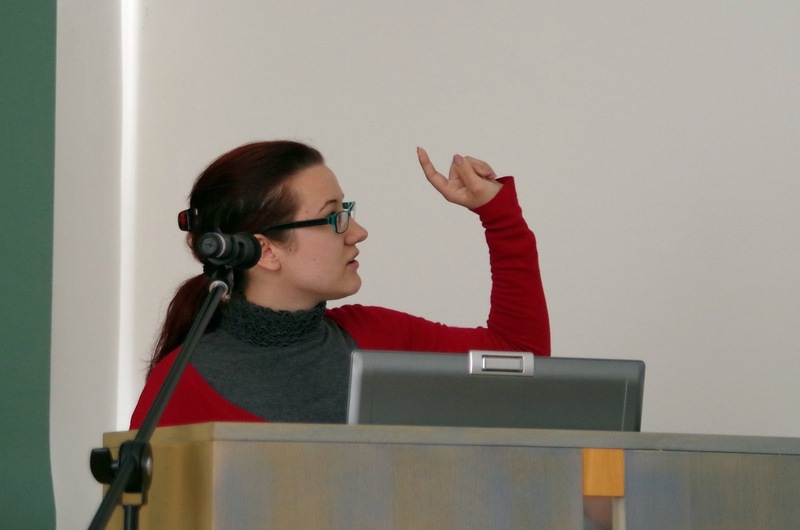 The play “The War Room” was performed by Confuse-a-Cat Ltd. from Debrecen. The play is based on Stanley Kubrick’s “Dr. Strangelove or: How I Learned to Stop Worrying and Love the Bomb”, adapted to stage by Gergely Falvassy, directed by Péter Szurdoki. Thank you to the troupe for a fantastic performance! “THE WAR ROOM”, based on the motion picture screenplay by Stanley Kubrick, Terry Southern, and Peter George, adapted to stage by Gergely Falvassy and Confuse-a-Cat Ltd. 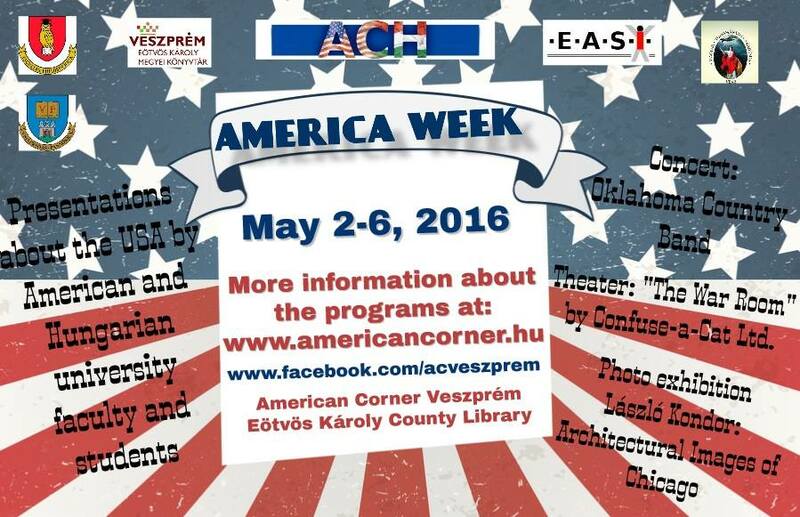 Admission is free, but please REGISTER IN ADVANCE FOR THE THEATER EVENING AT VESZPREM@AMERICANCORNER.HU OR IN THE AMERICAN CORNER! May 5, 2016 4:30 PM American Corner – Eötvös Károly County Library Veszprém, H-8200 Komakút tér 3. Day 4 (Thursday) of America Week featured the American Corner’s regular English Conversation Club, this time with a twist: a short concert by Lovassy Chamber Orchestra in the Exhibition Hall in the Library (next to the American Corner). Join the program, develop your English skills and enjoy the music! May 6, 2016 10:00 AM American Corner – Eötvös Károly County Library Veszprém, H-8200 Komakút tér 3. 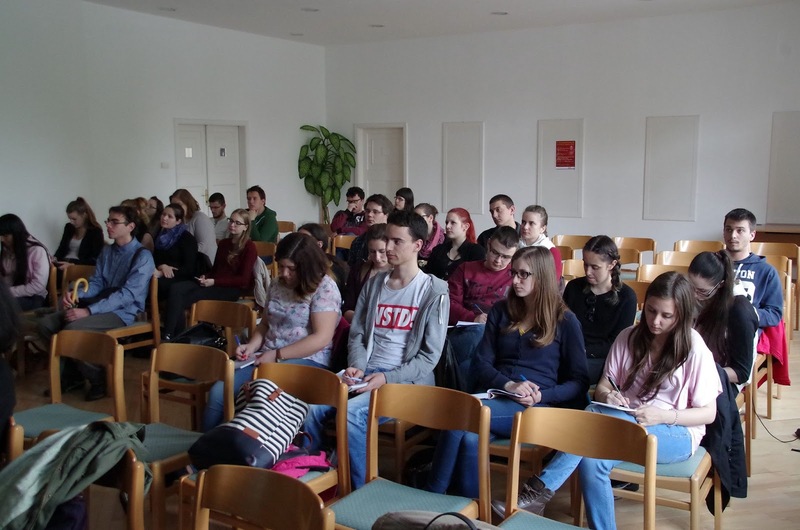 The American Corner offered a special English class for a group of students in Lovassy László High School. The students will learn interesting and useful facts about the USA through an interactive quiz. 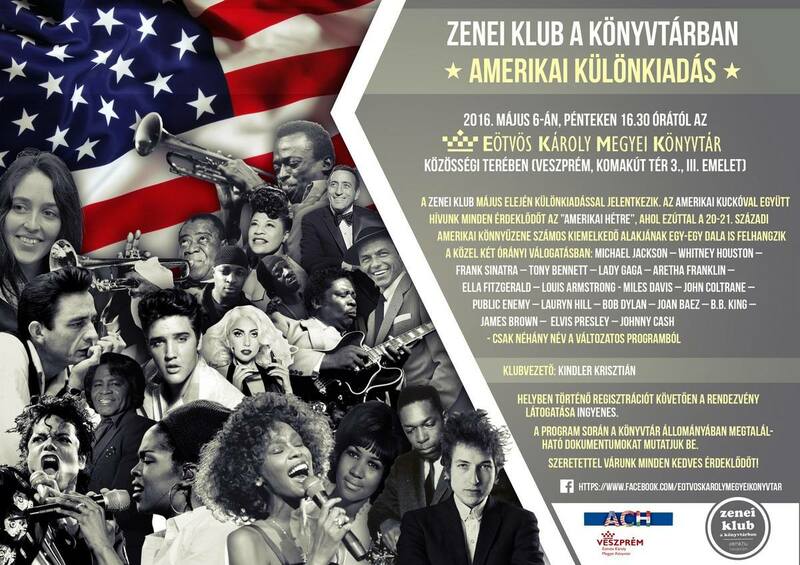 America Week was closed with some of the greatest American musicians at the Music Club – Special Edition program in Eötvös Károly Megyei Könyvtár. Thank you, Krisztián Kindler, for putting together a great selection of songs and telling us interesting stories and fun facts about the musicians, from B. B. King’s guitar to Johnny Cash’s prison concerts! A Zenei Klub május elején különkiadással jelentkezik. Az Amerikai Kuckóval együtt hívunk minden érdeklődőt az ”Amerika Hétre”, ahol ezúttal a 20-21. századi amerikai könnyűzene számos kiemelkedő alakjának egy-egy dala is felhangzik a közel két órányi válogatásban: Michael Jackson, Whitney Houston, Frank Sinatra, Tony Bennett, Lady Gaga, Aretha Franklin, Ella Fitzgerald, Louis Armstrong, Miles Davis, John Coltrane, Public Enemy, Lauryn Hill, Bob Dylan, Joan Baez, B.B. 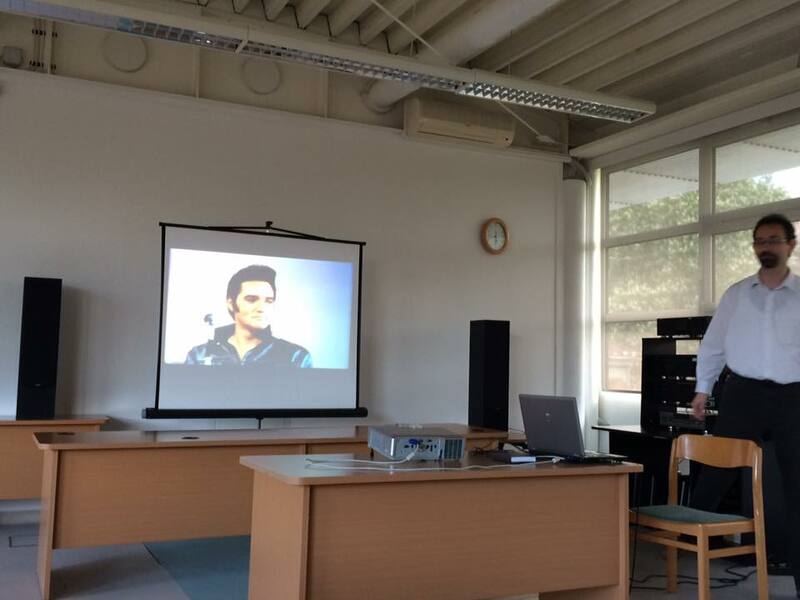 King, James Brown, Elvis Presley, Johnny Cash – csak néhány név a változatos programból. 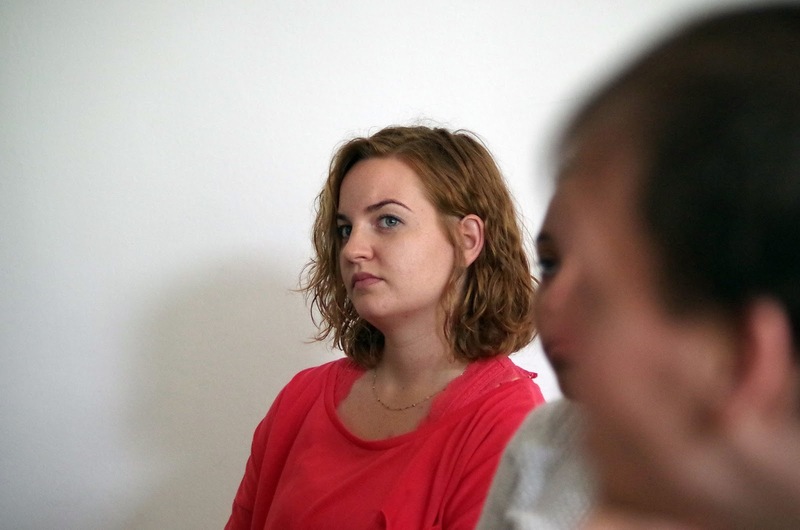 Továbbá a Zenei Klubba érkezők kvízjátékban is részt vehetnek, ahol értékes nyeremények várnak a legügyesebbekre. 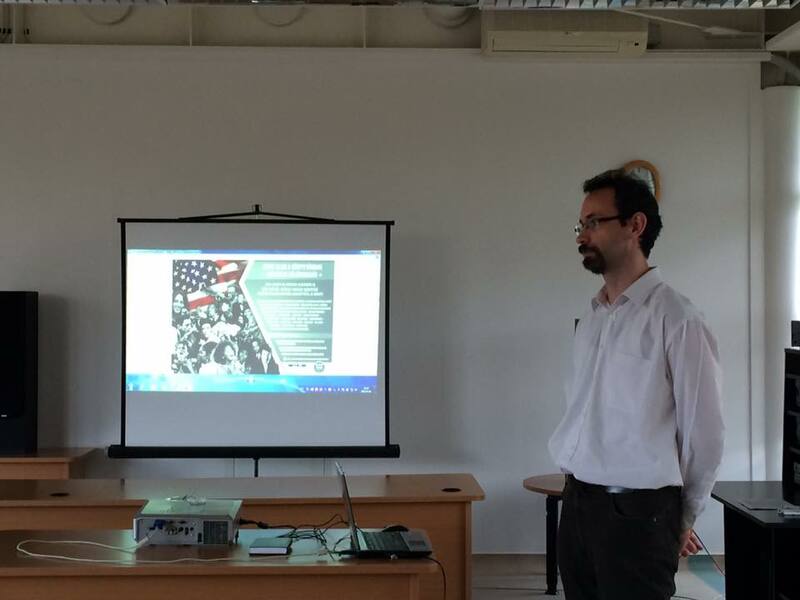 Some of the programs required registration at veszprem@americancorner.hu or in American Corner Veszprém. Admission was free to all of the programs.